Does your child dread math? There’s an app for that. Need help with her focus and memory? There’s an app for that too. 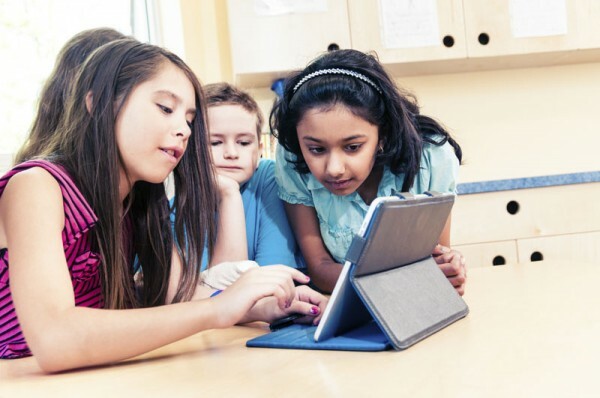 With the hundreds of educational apps available, it can be challenging to find the right ones. That’s why I love finding lists of best apps to help with this or that. One that caught my attention recently was by Wonder of Tech blogger Carolyn Nicander Mohr. In her post, “Four apps that help kids love to learn,” she highlights learning apps that received a seal of approval by the most expert team – her children. This Parents’ Choice, award-winning app turns math problems into a spy game. Think of this app like flash cards embedded in an adventure game. Your child becomes a student disguised as a secret agent sent on a mission to stop Dr. Odd from eliminating the world’s even numbers. Your child starts by choosing an agent name and then selecting the operations to be accomplished. She can choose operations individually or in groups. There are 3 levels of difficulty: easy, medium and hard. Your child’s mission is accomplished by solving math equations within 60 seconds. If the equations are completed within the time limit, a new level is unlocked. The number of equations increases with each level. Each mission takes your child to a destination around the world, complete with an objective for the agent. Operation Math is designed to be fun with animation, music, flashing buttons and incentives for doing well. Your child is rewarded for success with new unlocked levels, virtual gear and a list of personal records. The app saves information for 3 different players so your children don’t have to share their accomplishments. Designed for kids ages 5 to 12, Operation Math is available for the iPhone, iPad and iPod Touch. You can try the free version first if you’re not sure you want to spend $2.99 for the more robust app. 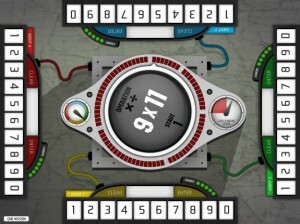 This $1.99 app is similar to Operation Math, but can be played with up to 4 players at once with one iPad. As with the original app, kids can choose from different operations so they can focus on practicing functions where they need help. Players can compete against one another or work as a team to defeat Dr. Odd. People of any age can have fun with this game. The iPad screen looks like a traditional board game with each agent taking a side of the board. The equation is in the middle and rotates so each agent gets a view. As with the original Operation Math app, players have to answer math problems within a time limit to achieve higher levels. With Code Squad, agents are limited in the number of errors they can make per stage. This game tends to be more fast-paced than the original app, so kids don’t have a chance to realize they’re practicing their math skills. The app has 3 skill levels to make sure your child is playing at an appropriate level. The developers who brought you Visual Math for 4-6 year olds have come out with Visual Math 2, designed for 6-9 year olds. It’s similar to the original app with a variety of games to help children master math skills. Visual Math 2 helps children learn to tell time, count money, figure out patterns, recognize advanced shapes, and perform math equations. The app uses HD photos, animation and fun sounds to enrich the game. 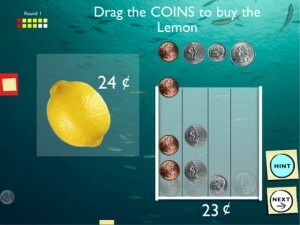 Visual Math 2 is adaptive and adjusts its questions to a child’s level of learning. The app offers hints if a player is stumped. A player still gets a half a point if a hint is used. Like the original app, children earn badges by solving problems and unlocking new levels. They can use these badges to create a Badge Book, developing their artistic skills as well. They can share their Badge Book via email. Visual Math 2 is available in the App Store for $3.99. This app, from the developer of the Visual Math series, is like a game of Concentration for kids. The goal is to match photos to clear the board. Players can choose from 8, 12 or 16 card games. The developer says this game can sharpen your memory and mental acuity skills whether you’re 3 or 83! 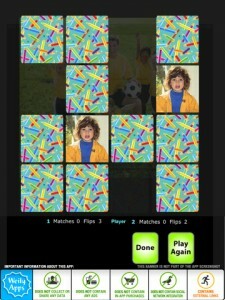 What makes this game of concentration unique is that you can use photos from your Photo Library for matching. This feature makes the game more fun and personal. You could choose photos of your child’s favorite toys, friends or family members. You could also increase the difficulty level by using 2 images that are only slightly different, making matching more of a challenge. PhotoMatch Kids HD costs $1.99 in the App Store. For more fun tech stories, be sure to check out Carolyn’s Wonder of Tech blog.